Alvar Aalto is Finland’s world-renowned father of bent wood furniture. Aalto studied architecture at the Technical University of Helsinki. He initially worked as an exhibition designer and later turned to architecture and furniture design. His designs are a superb example of the uncompromising spirit that has managed to overcome the barriers of style and taste, fashion and social class. Aalto established an experimental plywood workshop in Turku, were he worked closely with his wife Aino Aalto. He used the new technique of bent wood and glue for his world famous furniture in the project of the Paimio Sanatorium from 1932. 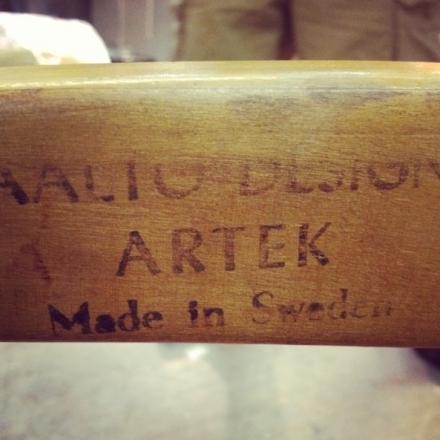 In 1935, Aalto founded the furniture design company Artek, were he continued to develop his laminated wood furniture, some of which are still being produced today. In the same year he patented a cantilevered chair support made of wood. This became the basis of his trademark chair designs.